For Google, Brent Galloway is the freelance graphic designer. Brent's personal website, brentgalloway.me, has been bolted to the first page of Google the better part of two years. There is a ton of value in this interview! Read on to learn Brent Galloway's SEO habits, his results, and content strategy! Hi, Brent! What do you do and for whom? I’m a freelance graphic designer that specializes in logo and t-shirt design. The majority of the design work I do is for small businesses and other individuals that are passionate about what they do. Although I don’t have a defined target market, I’m very selective about the projects I take on. If the client doesn’t have an understanding of their own goals or aren’t excited about the project themselves, then I don’t add it to my schedule. When did you launch brentgalloway.me? I launched my freelance graphic design website back in June of 2012. This was when I did my first big rebrand for my freelance business, and when I really started taking things seriously. Who do you target with brentgalloway.me? My website targets anyone interested in having a custom logo or t-shirt designed. However, I also get a lot of traffic from other designers, who are looking through my older articles about freelancing. When I launched my website I shared my experience on a number of topics, which brought in people for many different reasons. I’ve learned a lot since then, so currently I try to stick to graphic design related topics and personal freelance business updates like what recent projects I’ve worked on. What's your primary keyword/keyword phrase? My primary keyword phrase that I use on nearly ever page title of my website is “Brent Galloway – Freelance Graphic Designer in Ohio”. It's a bit ambitious going with these keywords since it’s such a saturated market – but I’ll be honest with you – when I started, I had no idea what I was doing. I picked the title I wanted to be known for, and stuck with it. I went from cold-emailing every client I could, to receiving 1–3 new project inquiries a week. When did you first hit the first page on Google? What did it take? I don’t know the exact date when I hit the first page on Google—It was quite a surprise to me when I found out. I’d have to say I owe my current ranking to my commitment to the title. For the past 3+ years, I’ve stuck to being called a freelancer. It’s something I’m proud of. I use it everywhere I can, I write content about freelancing as a graphic designer, and it’s paid off. Did I mention it’s been a 3+ year process? That’s important. Too many people expect results now – and that’s just not how it works. If you want to be known for something, it takes a lot of patience and dedication to show up every day. How many visits brentgalloway.me each month? As of this year (April, 2015), my website averages roughly 6,700 visits a month. When I launched my website, I’d be lucky if I had over 100 views. But I never made page views my priority. I continued to add new content, update my portfolio, and interacted elsewhere online. As a result, my traffic has grown significantly. 61.5% of my website’s traffic comes from organic searches. Of this entire year (2015) so far, 79.8% are new visitors, and 20.2% are returning. Although page views are great to review, seeing my mailing list grow and receiving numerous response emails from my readers is more important to me. I try not to get wrapped up in page views, because I’d rather put my focus towards producing content. Too many people get caught up in Facebook likes, Retweets, etc. But those numbers are useless if they aren’t producing results. 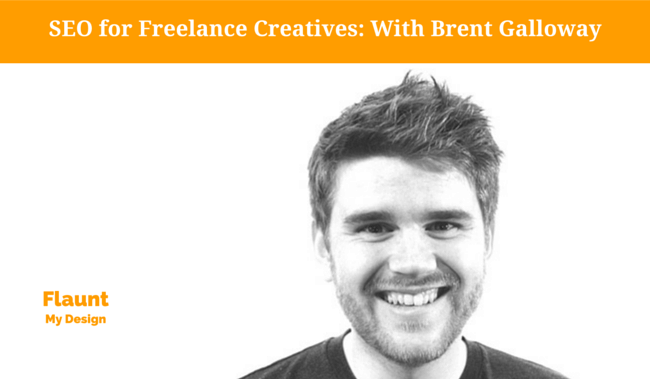 How does brentgalloway.me drive your freelance business? My website is the engine to what I do. Without my website, I wouldn’t have a business. Currently, 100% of my work is done online. I haven’t worked with a local client in years, and that’s by choice. My content brings in the traffic, then it’s my website’s job to turn those views into project inquiries. Every page is meticulously written, designed, and linked via a number of calls-to-action. Ever since I started taking my freelance business seriously back in 2012, I’ve only seen growth. I went from cold-emailing every client I could, to receiving 1–3 new project inquiries a week. And it’s all thanks to my website. I’m extremely grateful that I’m now at a place where my next projects come to me rather than me having to chase after them. Again, this is a result of 3+ years of showing up every day. 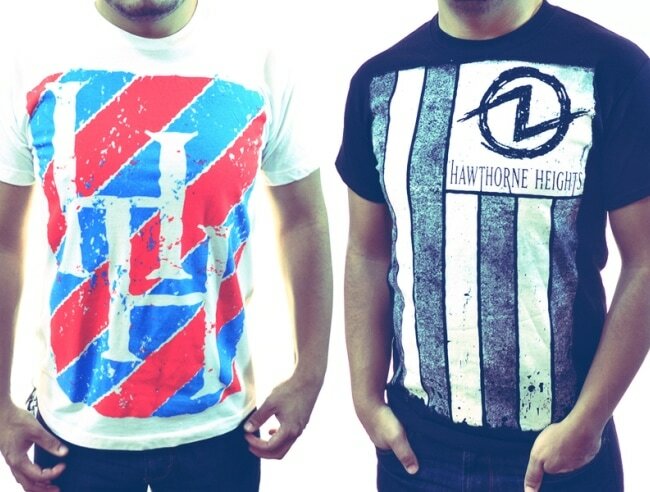 Nowadays, are most of your inquiries about logo and t-shirt projects? Yes, and that’s something I’m very happy with. On my website I make it very clear what I specialize in, and I inject that throughout all of my copy and online presence. Having a dynamically built contact form also helps filter inquiries and gathers the necessary information I need to determine if it’s a project worth taking on. I’ll occasionally get a random inquiry for something I don’t specialize in, and in most of those cases, I turn it down. It’s very important that I stay within my niche and be selective with the clients I add to my schedule. There are countless benefits to writing, and I owe everything to it. The competition in your industry is massive! Why are you so successful with SEO? What do you do differently? I’ll tell you my secret and the one thing I did to get me to where I’m at… Writing. It all started with writing. If you want to grow an audience, get better clients, sell your products, or position yourself as an expert, you have to start writing. I write for my website which brings in the traffic, I send out newsletters that build my audience, I write for my products, I wrote a book on starting a freelance career, and the list goes on. There are countless benefits to writing, and I owe everything to it. Without taking that step to share what I know, there would be no reason for anyone to visit my website. Why do you think your ranking is so resistant? What do you do to keep your ranking? To this day I’m just going with the flow. I started with the title of a freelance graphic designer and I’m sticking to it. From my experience, as long as I stay consistent and continue to create new content, I’ll continue to see the results grow. Google has implemented a number of important updates the last couple of years (Panda, Penguin etc.) How have they affected you? I’ll be honest with you, I’m not an SEO expert, so I don’t really follow the latest updates. My focus is on providing value in the content I share and continuing to show up every day. With that and by sticking to a few best practices, I continue to see growing results. If you have to pick just one thing, what is the single most effective SEO-thing you've done? The more quality and unique content you can personally create, the more Google will love your website. Have you had moments when your rankings/organic traffic jumped significantly? There was never really a “big break” for me, but when my writing about freelancing started to draw some attention, I had the opportunity to guest post on an established blog which already had a massive audience. Guest posting on this established blog not only helped me refine my writing, it also helped drive some new traffic my way – building my back-links, which in turn helps my search engine ranking. Again, it all started with writing. Have you ever done any big SEO-mistakes? Yes! My biggest SEO and one of my biggest business mistakes was not focusing my website’s audience. When I launched, I was sharing my experience on many topics, which brought in potential clients, people interested in freelancing, and other graphic designers. When creating new content, where do you make sure to always insert your keywords? When creating new content I always start with the page title: I use the post's title, then add my keywords (e.g. Title / Brent Galloway Freelance Graphic Designer in Ohio). Then it’s just a matter of sticking to a handful of keywords and phrases throughout the content itself, and sticking to some basic SEO best practices. Are there any other on-page SEO factors that you try to cover? Post length, inbound links, outbound links, secondary keywords? All of those do factor into the content I create, but I don’t stress too much about it. I focus on the content itself and the value it offers—Again, sticking to some basic SEO best practices like keywords and phrases. Any other power tips for effective on-site SEO? Having well-written and unique content with a focus on a few keywords and phrases is what’s most important. Doing this and posting on some kind of consistent schedule is all you really need. If you focus on the quality of content, people will share and Google will start pushing it to the top over time. 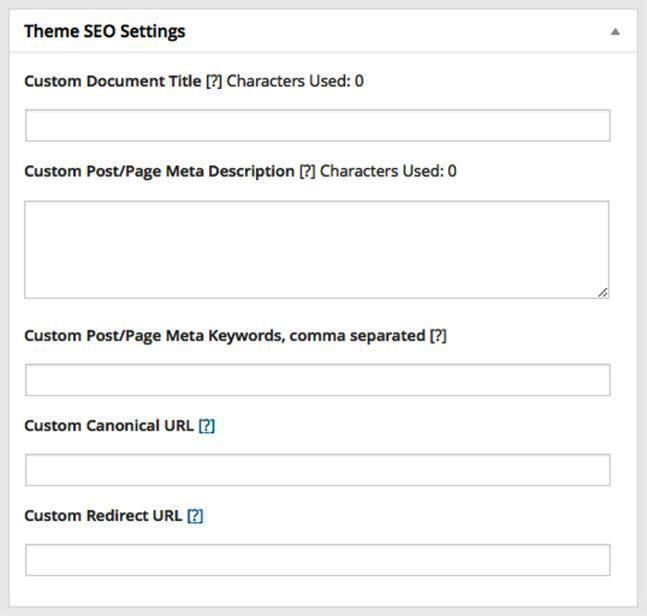 Do you use any WordPress plugins for SEO? Do you use any other SEO tools? The only other online tool I use that’s related to SEO is Google Analytics to track all of my website’s online traffic data. How do you build back-links to your site? I started getting my name out on every website I could. With every blog post I read and enjoyed, I’d leave a comment, adding to the conversation. It all comes back to writing and adding value. Follow the rule of reciprocity. If you can give something of value with no strings attached to someone, then the more motivated that person is to give back. You can do this in many places online, on your own website, in the comments of another site, in the guest post on an established blog, in a forum, on a site like Quora, and the list goes on. Are any back-link sources more important than others for SEO? Having your website linked to your profile everywhere you are online helps. The best back-link you can get is someone else sharing your website and content naturally, and this will only come with time and providing something worth sharing. Gaining back-links naturally is very beneficial. I personally don’t have any strategy. Again, I focus on writing quality content and if it’s worthy enough for someone to link to or share, then that’s very much appreciated. Any other off-site SEO tips? When it comes to linking to content, there’s a best practice to use keywords related to the content you’re linking to vs. simply using, “click here.” It’s a small detail, but helps. What role does your other site, Your Freelance Career, play for getting clients? My blog Your Freelance Career is geared towards the graphic designer interested in starting and growing their own freelance business. However, it also benefits me in a number of ways. In the eyes of potential clients, it positions me as an expert in what I do, it shows that I have experience, it shows that I’m still learning new things, and overall, the back-links and growing traffic pushes my search engine ranking to the top. 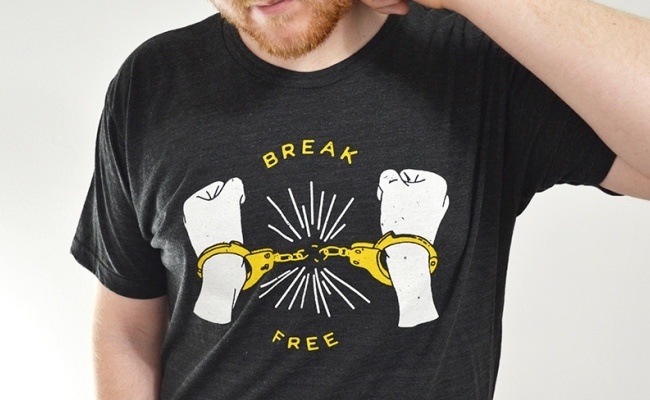 From a SEO perspective, how do Your Freelance Career and brentgalloway.me support each other? I inject myself into Your Freelance Career by tagging myself in the SEO settings. I also link to myself in the author bio of every post I write. Although Your Freelance Career is technically my website, it’s still completely separate from my personal site. And vice versa – I inject Your Freelance Career into my personal website, showing that I don’t just design logos and t-shirts, but I teach what I do from a business standpoint. Where did you learn to do SEO? Everything I do and have learned has been through experiencing it firsthand, and by making mistakes. I use Google for all of my unanswered questions, and I’ve observed those that are ahead of me. I like that I’ve iterated in public, because I can go back and see how much I’ve learned and grown. I think that’s important – to iterate in public and not be afraid of the mistakes you make along the way. Those mistakes made are only lessons learned. What's your next step for SEO? I’m going to continue creating content of course, but I actually have some plans on experimenting with different content formats. For example, I’d like to start doing more video content. I might even experiment with audio snippets. I know how much work goes into producing a podcast, so I don’t dare commit to something that big at this time. Many clients tell me they actually reached out because they were convinced by my case studies. What topics are you focusing on? For my personal website I focus on graphic design topics related to my freelance business. I have some new articles in the works related to the type of services I provide, but lately I’ve been sharing new projects and products I’ve been working on. How often do you add content to the blog? My posting schedule has been all over the place since I’ve launched. I started posting once a month, then upped my content creating to every week, and currently, it’s whenever I have an update. But this is a result of my new commitment to writing every other week for my blog Your Freelance Career. However, last year I published a new article every single week on Monday morning. Now that was a huge accomplishment for me. How important is fresh content? From my experience, fresh content is very important to search engines. The more you update your website with new content, the better you will rank. If you can post once a week, then you’ll see some major results over the next few months. Anything else is great – but being committed and posting as much as you can with quality content is what will take your website traffic to the next level. When you choose the topic to write about, do you also consider search engine factors, e.g. number of searches? I do not. I either write from a recent experience I had or I write about a topic that someone is in need of. I stick to certain keywords when I write, but I don’t dive into any advanced SEO stuff. What topics has been driving search engine traffic the most? You’ll notice each has their own unique approach. The first being a huge resource with lots of useful content on getting started. The second is a crucial piece of resource that includes a free incentive to get you going. The third is a step-by-step guide on how to design something – which includes a video with written content. End of 2013, you refocused the content on brentgalloway.me to attract more clients and less creative peers. How did things change? Since I made this major decision to pivot my audience, I’ve only seen growth for both my personal site and my freelance blog, Your Freelance Career. My audience is now split and it’s for the better. I can grow my freelance community while also focusing on driving clients to my personal website, without mixing the two. My personal website if you take a look now is overall specifically written for potential clients. For you personally, what kind of content is actually client-getting? Most of my clients tell me they find me through Google, and they land on my homepage, so I make sure that’s very engaging and points them to exactly where they’d like to go using calls-to-action. However, many clients tell me they actually reached out because they were convinced by my case studies. 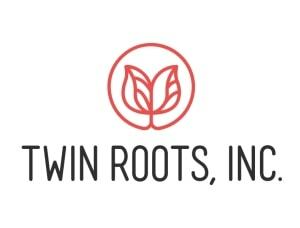 A great example of this is my most recent project, a logo for Twin Roots, Inc. I suppose this depends on the type of work you do and the kind of clients you do work for. For me, my work, and my clients, I focus my case studies around two things: what the client’s goals were and how I delivered to help reach those goals. I share as much of my work process and thoughts behind my decisions. I think it’s important to share your process, but not too much to where no one wants read it. Make it concise, focus it around the client’s goals, and showing your work process in text form and visually. Finally, what's your best advice for a freelance creative just starting out with SEO? For those just getting started with SEO, know that it takes time and commitment. Getting on the first page of Google doesn’t take one published article overnight. It takes consistency, quality, and patience. Even if you throw all of the SEO practices out the window and just publish valuable content, you can make it, because it’s sharable. You don’t have to buy a book on how to become an SEO expert, you just have to start creating. Then make sure what you’re creating is well-written and unique. Do you have any thoughts, tips or questions on SEO for freelance creatives? Please comment! A wonderful interview, Tomas, you asked so many great questions– enormously helpful and informative. I especially liked Mr. Galloway’s point about trying things, and not being afraid to make mistakes. It’s so easy to forget that no true learning takes place without mistakes, and taking the necessary steps to correct them. This is a very interesting, informative interview and has been very helpful for me right at the start of blogging only 3 months into my business. I had to manually submit my website to Google which I had not done before which also helped as well as blogging. In my case it will be really helpful to switch from writing for creative businesses to writing directly to my clients that are brides. I’m glad I could help, Rubana! Brent knows his SEO stuff!